Teach your child how to hold chopsticks properly and quickly! 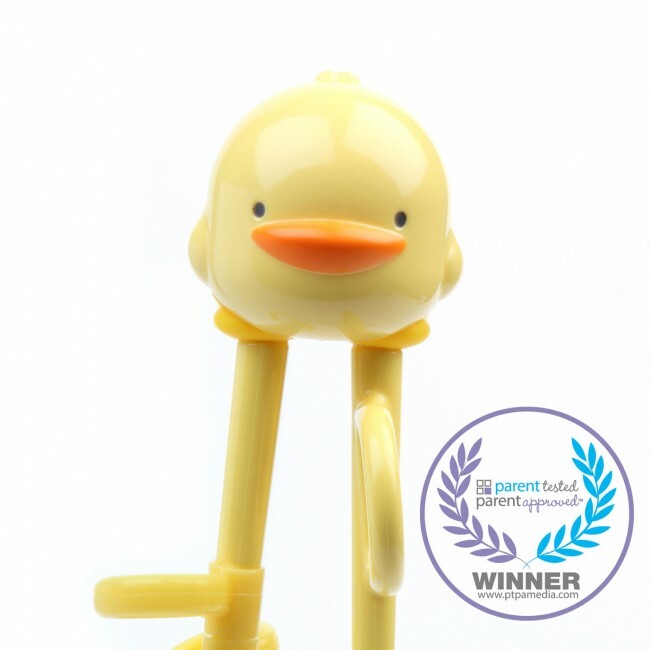 The ergonomic design was awarded a multinational patent. 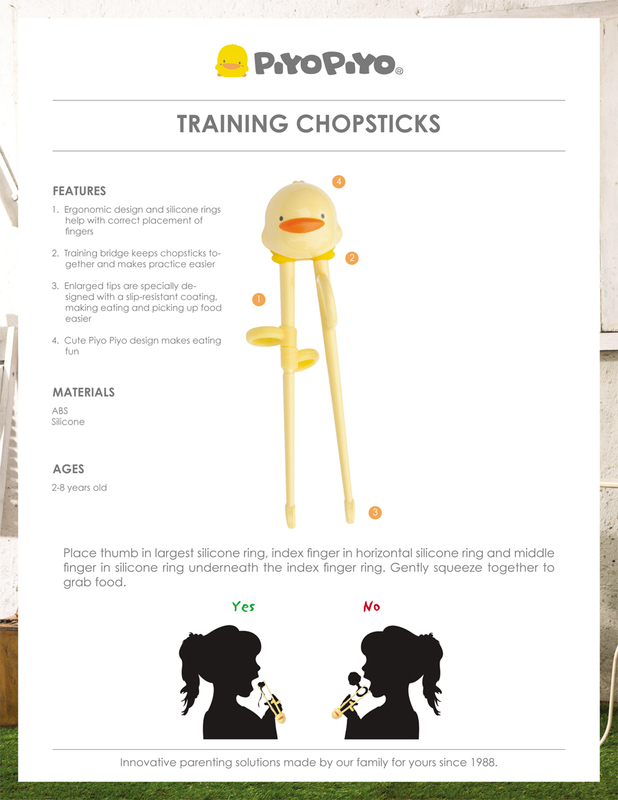 For right-handed children only. 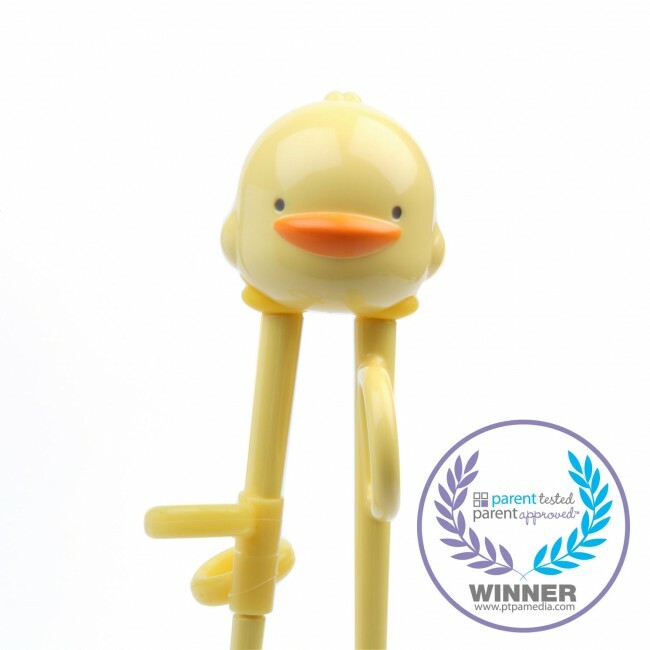 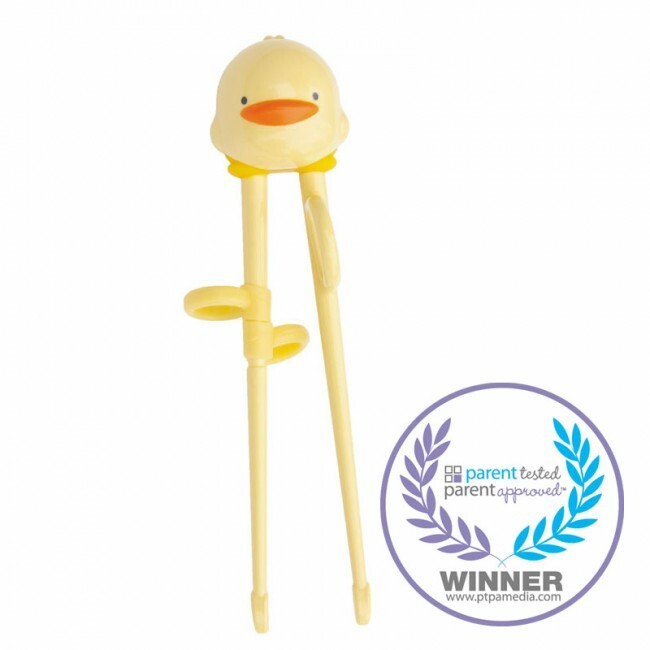 Piyo Piyo Training Chopsticks has earned the PTPA Award! 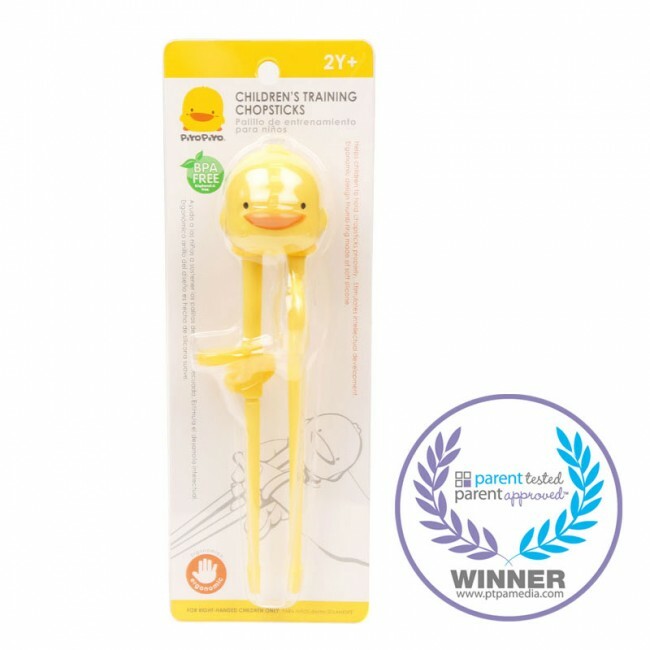 Parent Tested Parent Approved put this product in the hands of real parents and listen to their honest opinions. 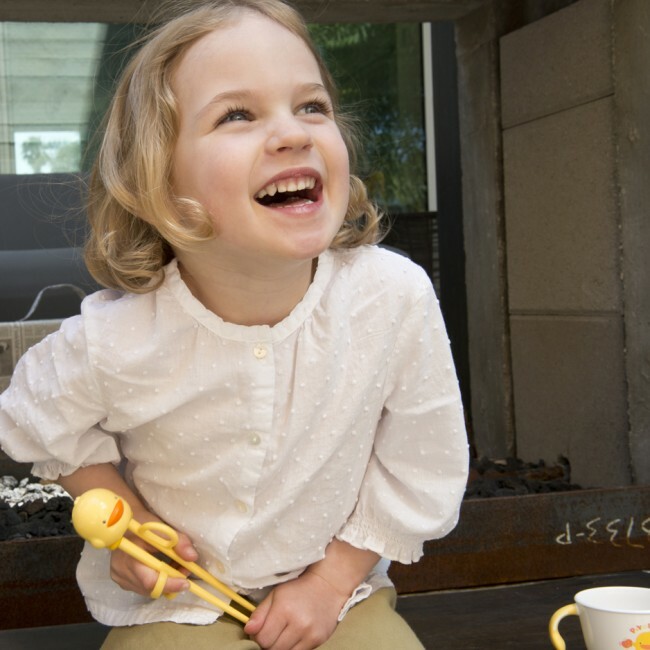 With a built-in community of over 70,000 families across North America, Parent Tested Parent Approved have immediate access to just the right testers to evaluate our product.